Floral appliques sweeten this ruffled frock. White with pink embroidery. Jewel neckline with smocked yoke. Flutter sleeves. Shirred A-line skirt. 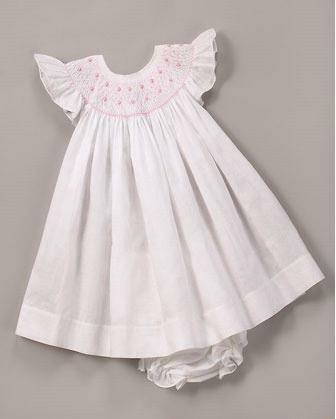 Includes ruffled bloomers. Pima cotton. Imported.